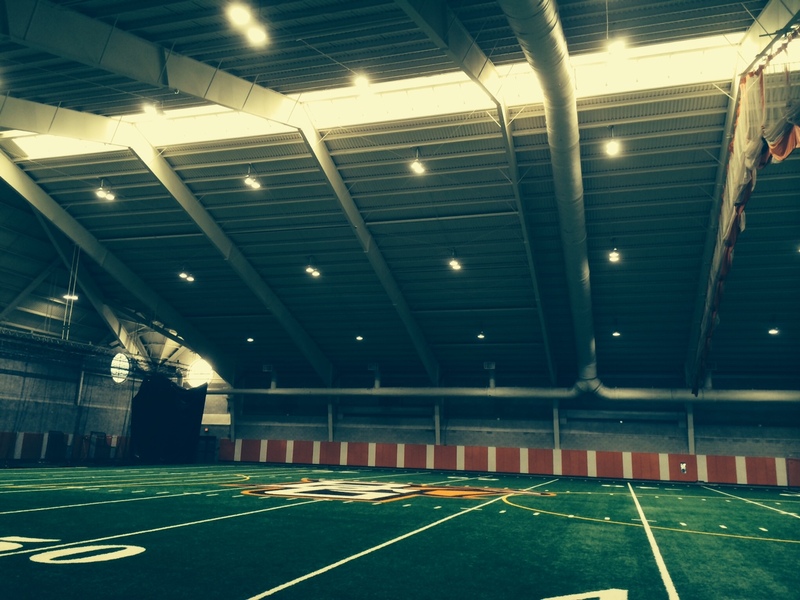 Woolace Electric completed the installation of all new LED High Bay Lighting at the Perry Field House on the campus of Bowling Green State University. These new lights are longer lasting, much more energy efficient, and very low maintenance. Most of all, however, they provide more overall efficacy, making it easier to see. 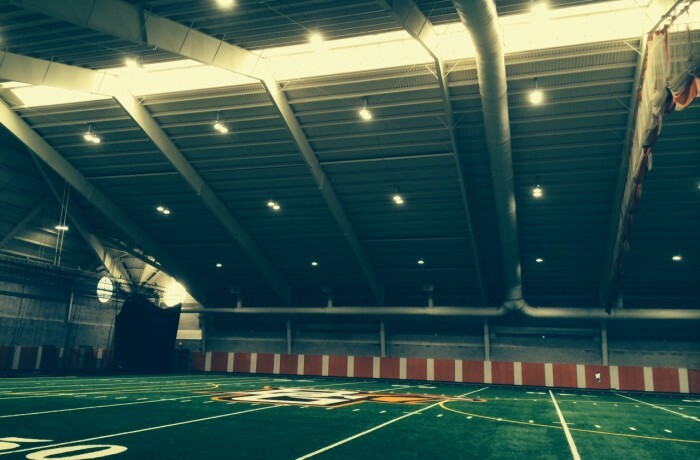 The Perry Field House at BGSU in an indoor athletic complex that houses a synthetic turf practice football field, as well as numerous basketball courts and a 200 meter track, and is used by varsity sports teams as well as students.